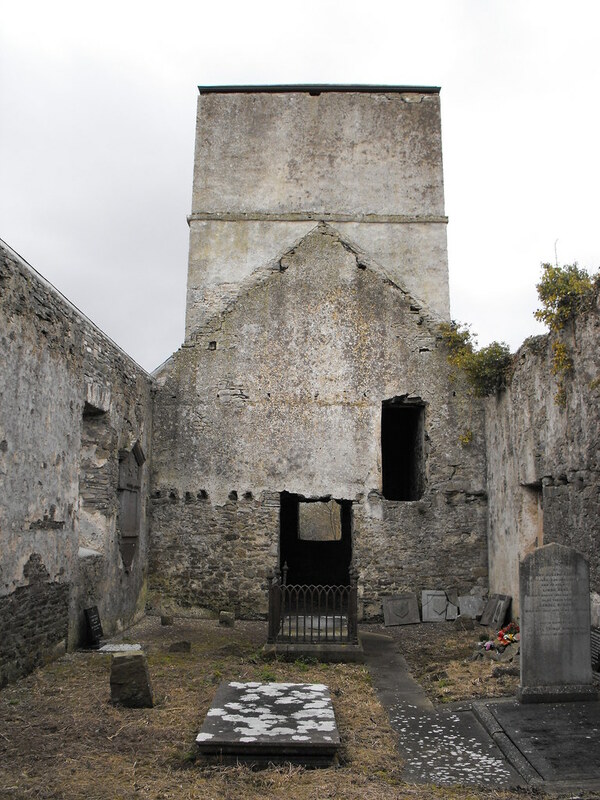 The Standing Stone: Anatrim Church, Coolrain, Co. Laois. 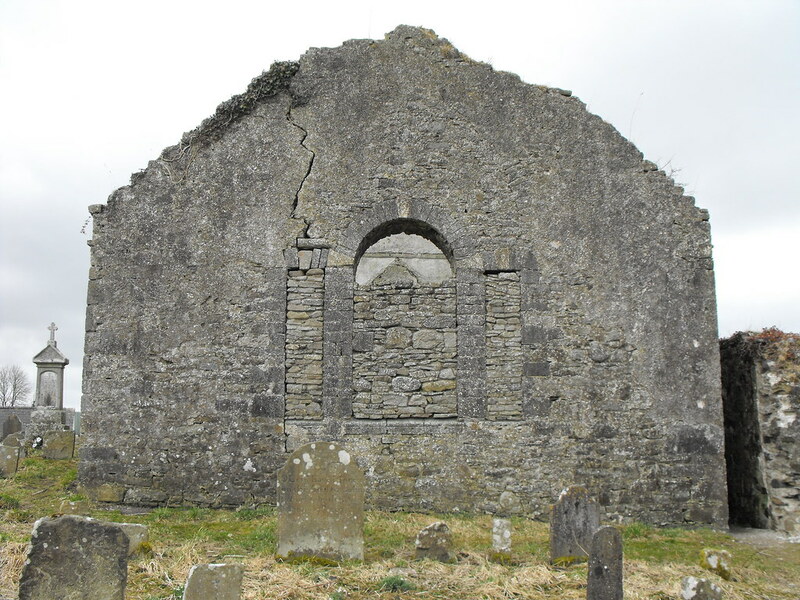 Anatrim Church, Coolrain, Co. Laois. 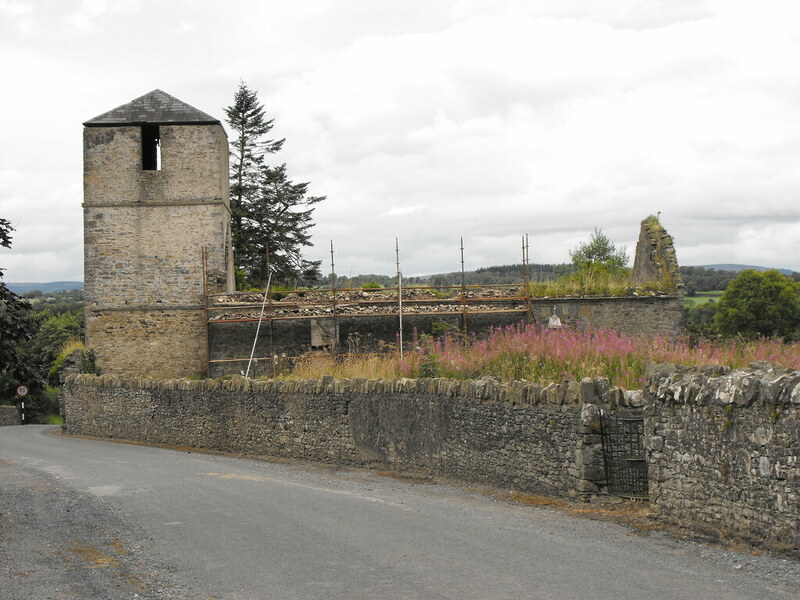 Location – Just outside the village of Coolrain. 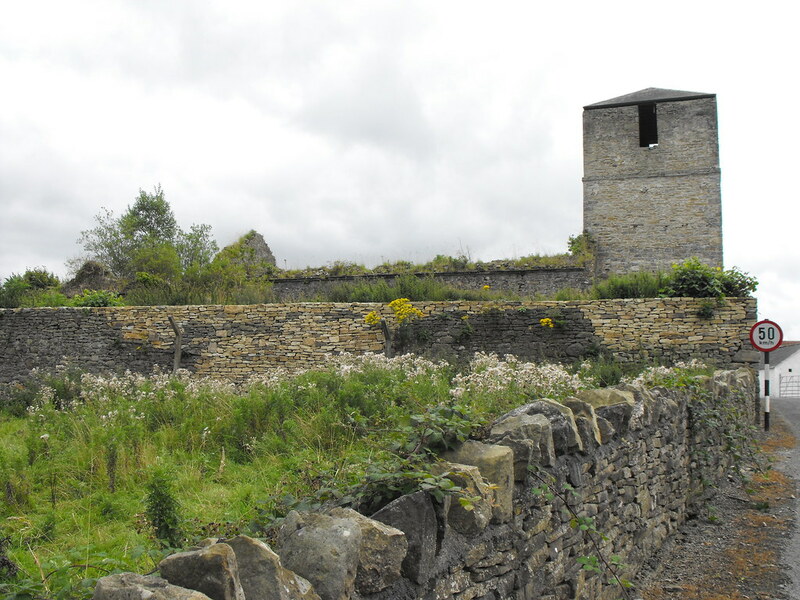 Description and History – This site was, at the time of my first visit, in October 2009, going through conservation work. I bumped into one of the workers who informed me that they were trying to carry out work similar to that Aghaboe Abbey but they were having financial problems. He pointed out the nearby holy well to me which I never would have found without direction. Upon my second visit in March 2010, the conservation has largely been finished. It appears as if they have finished. 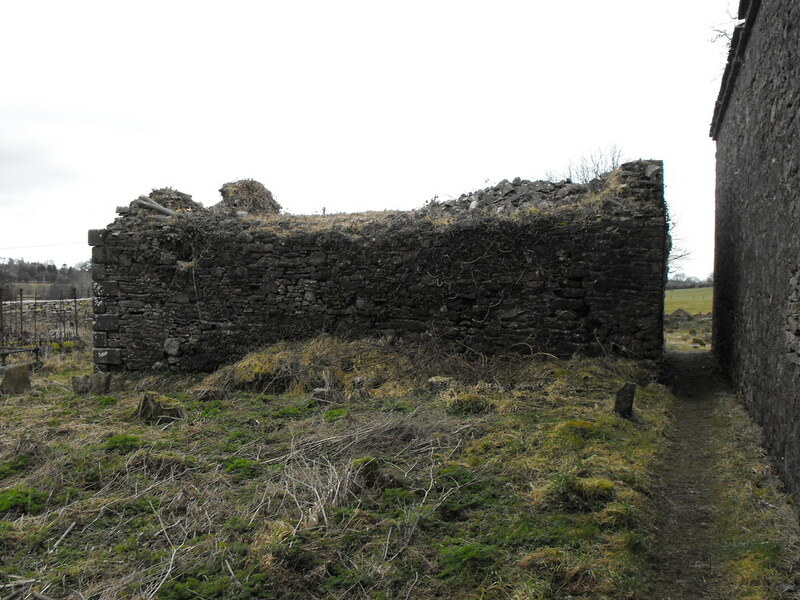 It is not as tidy as the conservation at Aghaboe but is still very nice and hopefully they will find the funds to complete it. 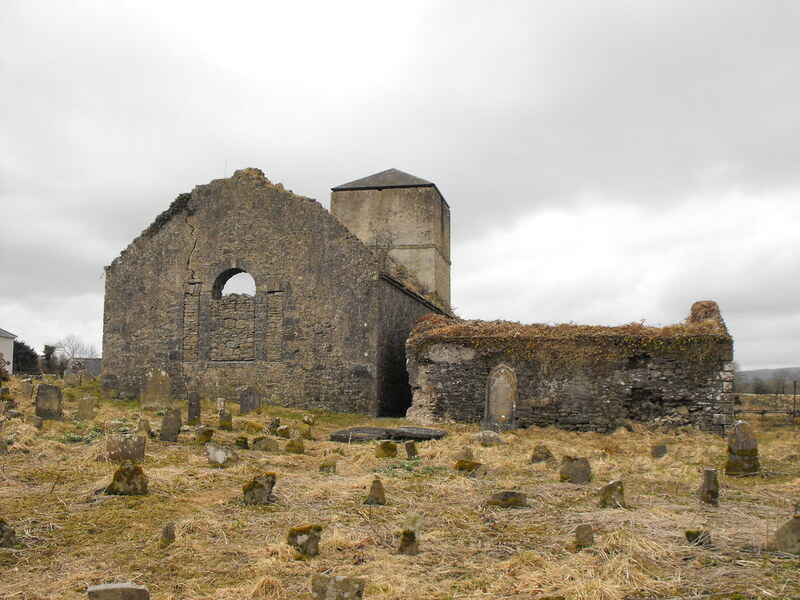 The present church dates mostly to the 18th century but the ecclesiastical associations of this site go back to the 6th century when a church was founded by St. Mochaemhog. 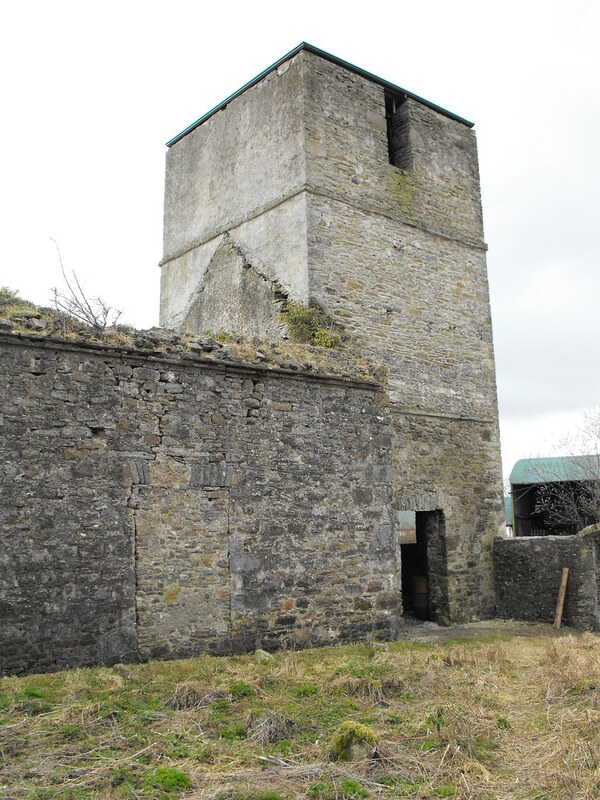 The present remains consist of a church roughly 17m x 6.7m with a bell tower and adjoining sacristy. The plaster is still on the walls which is a rarity. The sacristy is barrel vaulted and placed at right angles to the rest of the church. 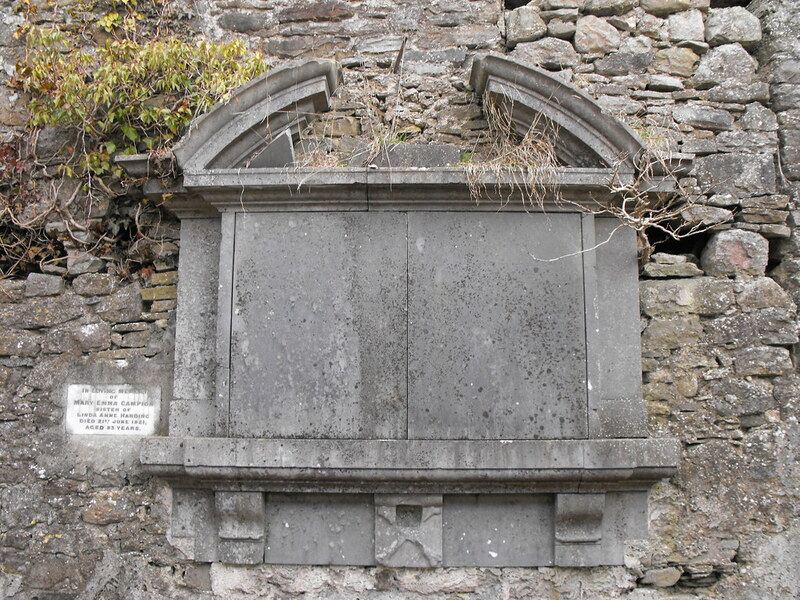 The graveyard contains some ornate 18th century grave-slabs. 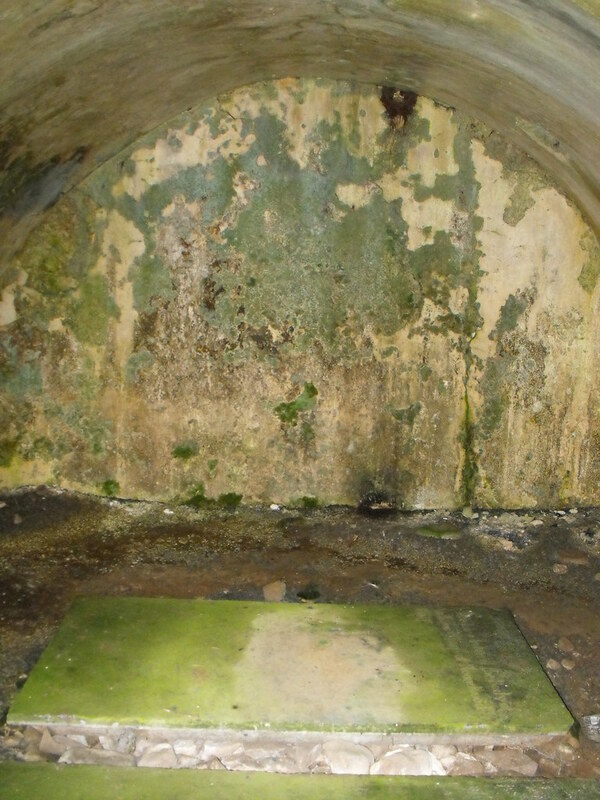 The sacristy was later used as a grave monument in the 19th century. 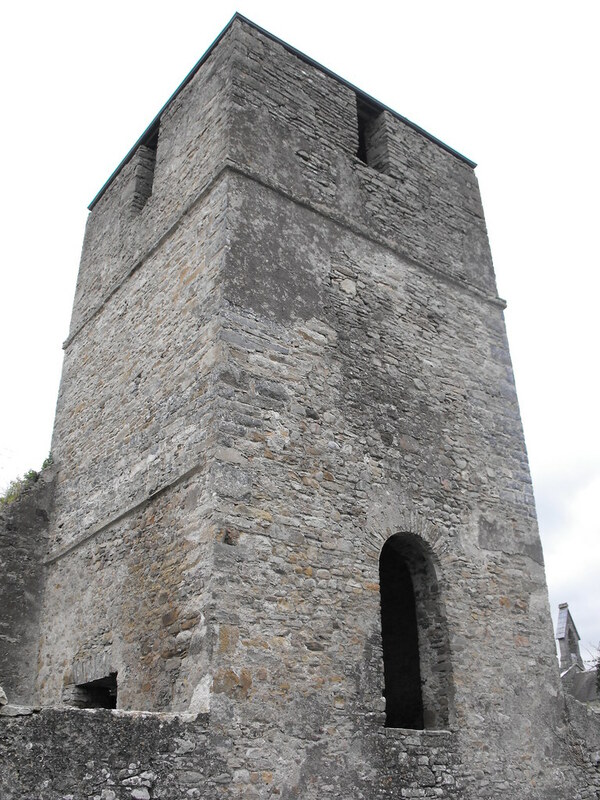 The belfry is 4.3m x 4.3m and roughly 7m high. It really is a nice and unusual site. There are few others like it. I thought that I would only be here for about 10 minutes but I spent nearly an hour here in the end. A very interesting site. Difficulty – Easy to find as it is signposted from the village. 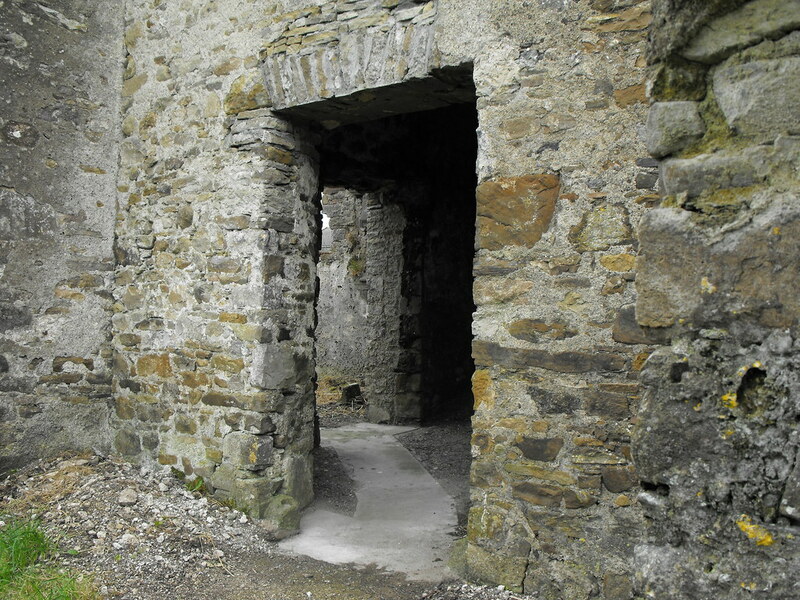 The gate to the ruin is supposed to be open but is occasionally locked for some unknown reason. 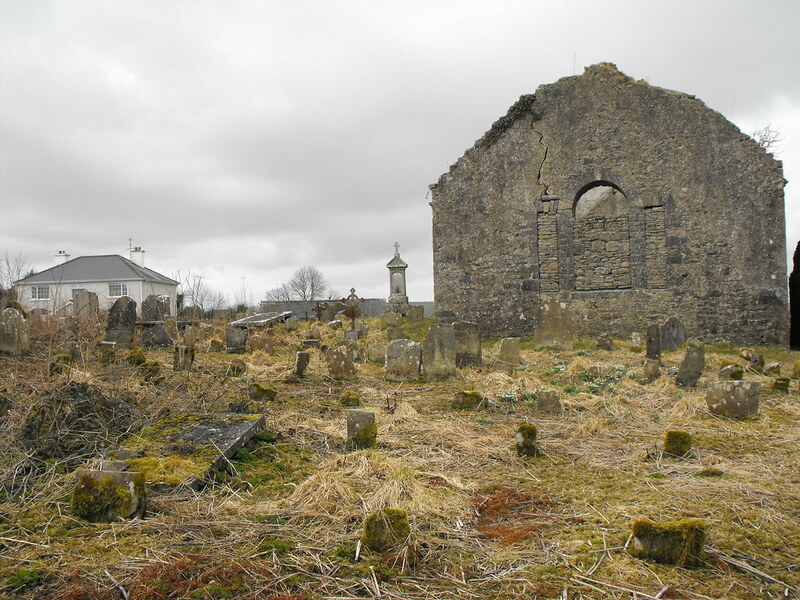 The rear of the church with the newly cleared graveyard. Until February 2010 it was very overgrown. 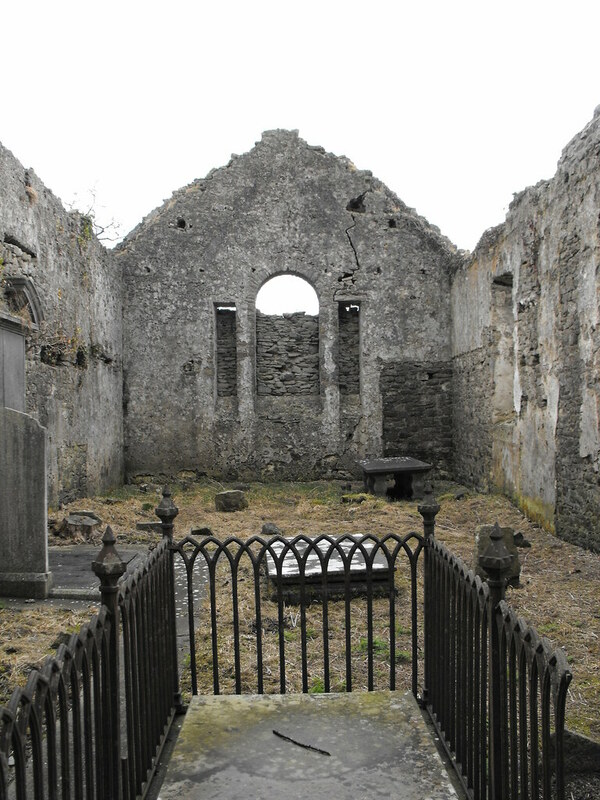 View that includes the former sacristy. 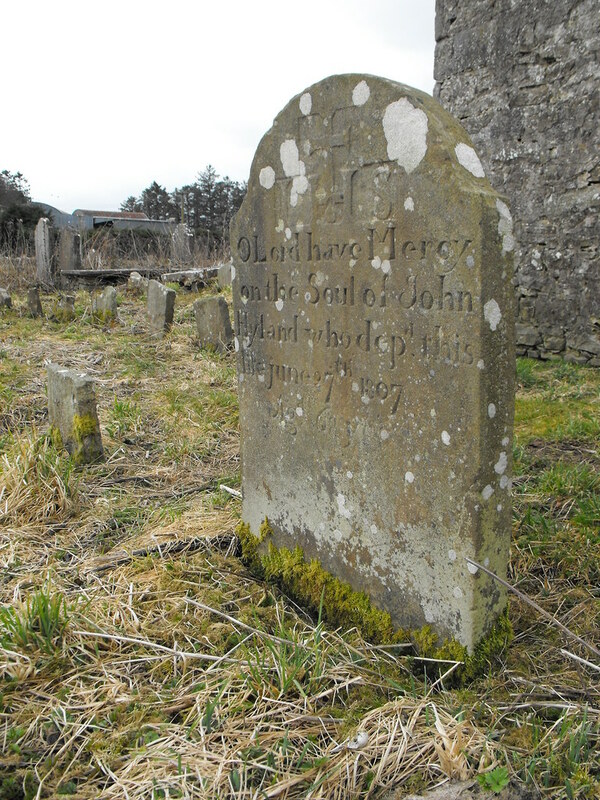 There are some really beautiful gravestones in the graveyard. 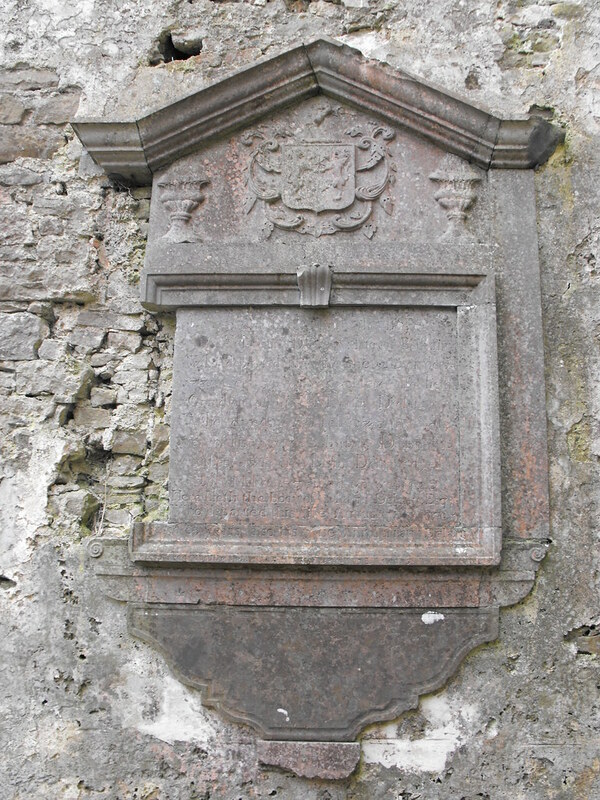 Another 18th century memorial...it's a shame this one isn't complete. 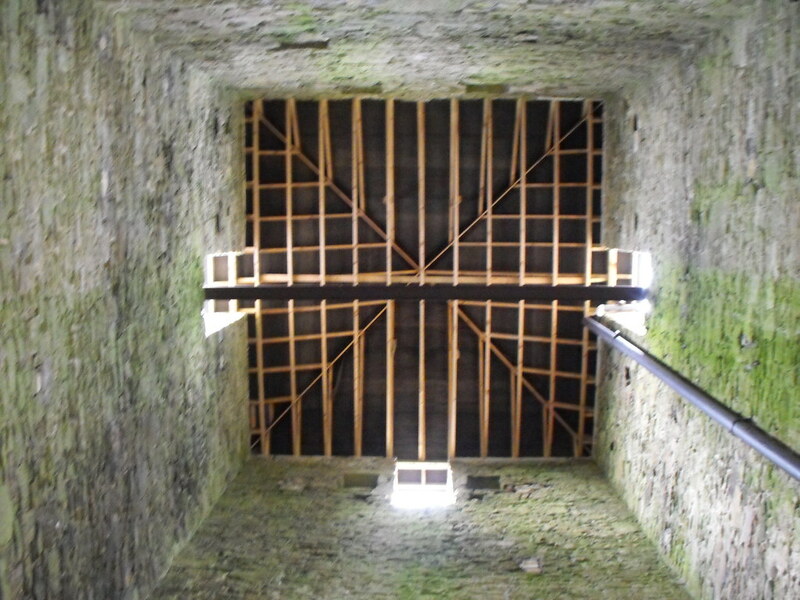 Interior of the restored roof. 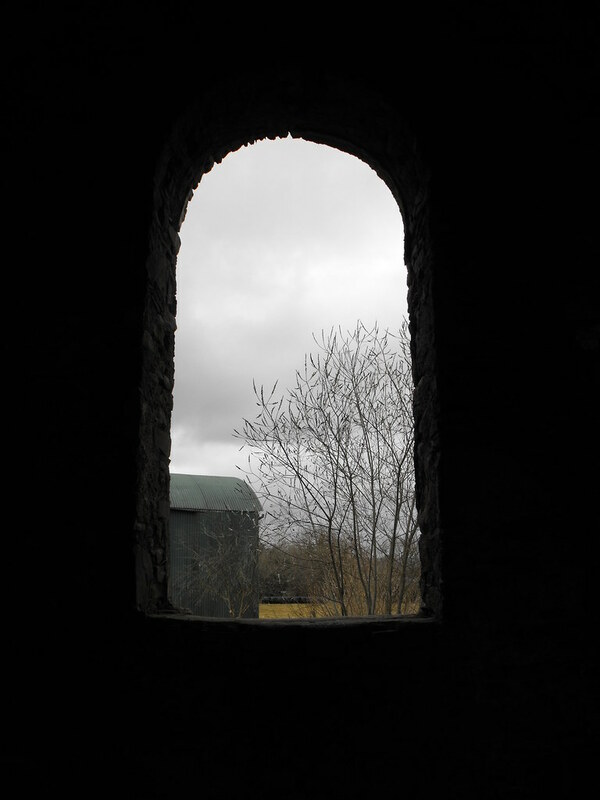 Looking out from the bell tower. 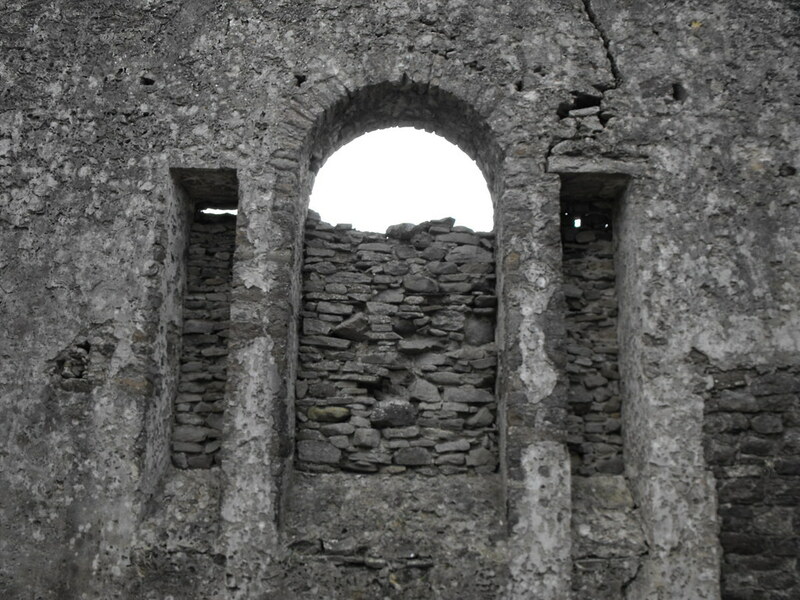 Blocked up window at the E end of the church. 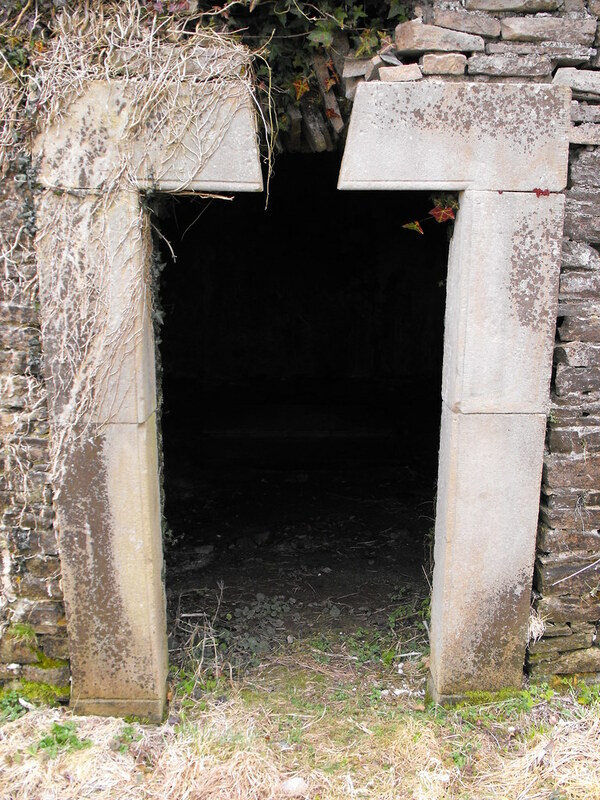 The entrance to the barrel vaulted sacristy. The interior of the barrel vaulted chamber. 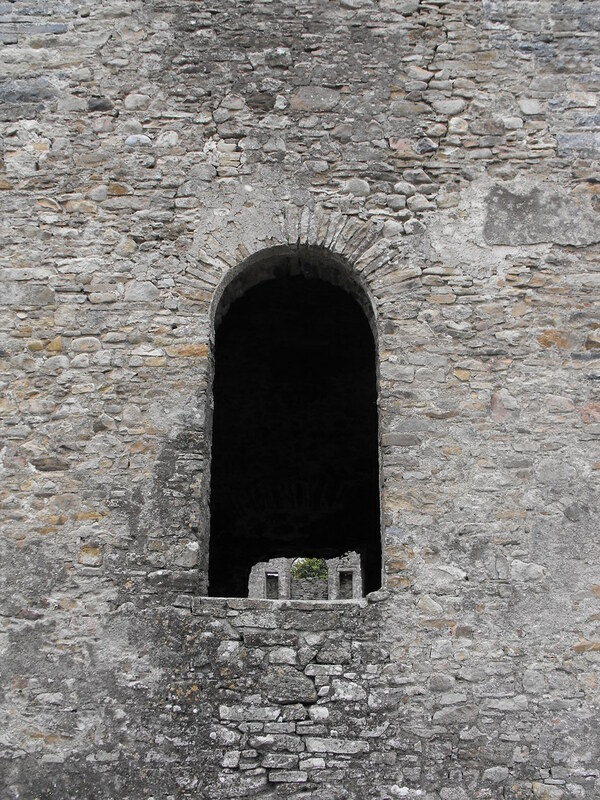 There are 4 graves inside. I was so pleased to find this web page. I live in North Carolina, USA. I was going through an old box of my mom's memorbilia and came upon a letter from Fred Cooper, now of Timperley, Chesire, England, to my grandmother, his sister. He was filling her in on all of their relatives and mentioned the church where they all had been christened. She immigrated to the US around 1885 and I do not believe ever returned to the UK.She was Matilda "Tillie" Cooper, then Phelps. It is nice to see that this property is being cared for.